Bone Pools by One Dog One Bone Enterprises, Inc.
Cooling products for dogs help keep dogs cool when the weather is hot. Cooling clothing for dogs and other dog products specially designed to help your canine beat the heat are all hear to help dog owners. 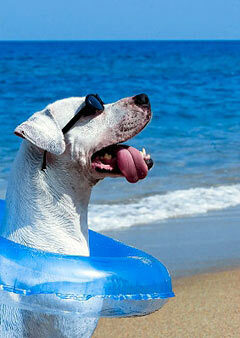 A Dog Pool will help keep your dog cool and happy during the summer heat.